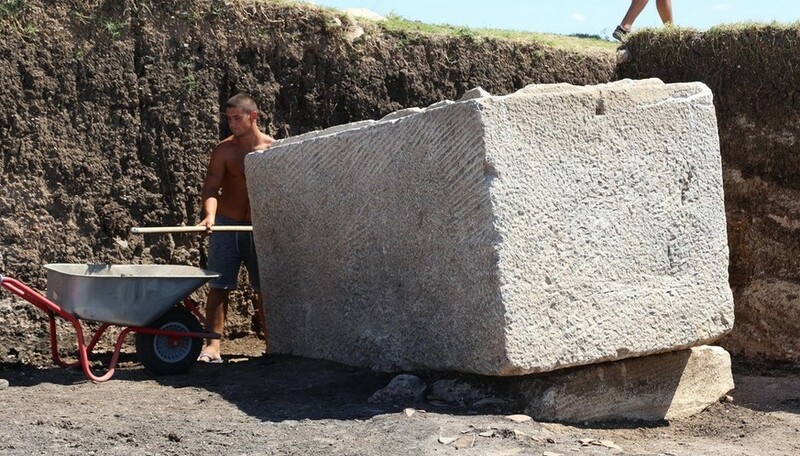 A massive marble sarcophagus of a rich Ancient Thracian aristocrat has been unearthed in a Thracian tumulus (burial mound) from the period of the Roman Empire by archaeologist Daniela Agre and her team during rescue excavations near the town of Boyanovo, Elhovo Municipality, in Southeast Bulgaria. 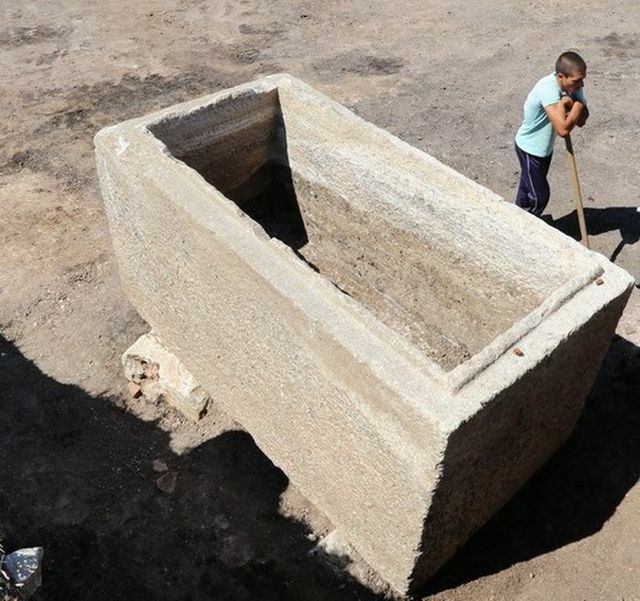 The impressive Ancient Thracian sarcophagus weighs an estimated 6 metric tons; it is 2.7 meters long, 1.4 meters wide, and its walls are 15 cm thick, reports local news site ElhovoNews. 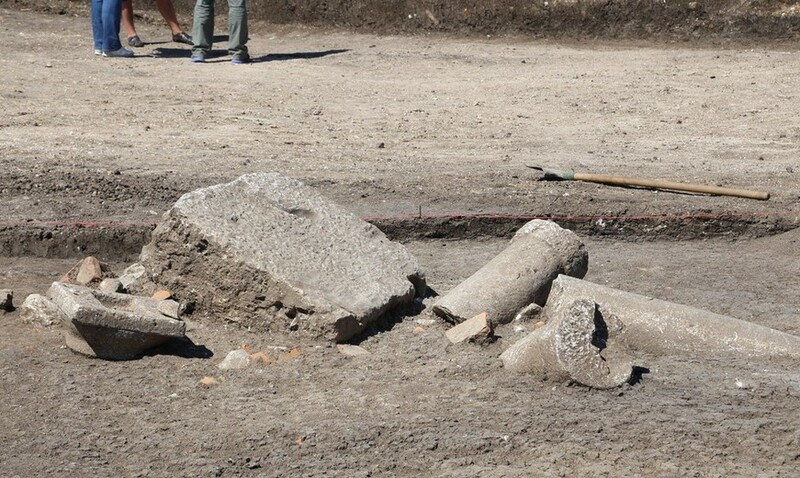 The sarcophagus, however, is not the only discovery in the excavated Thracian mound where the archaeologists have also found a colonnade and a second tomb of brick masonry with murals. 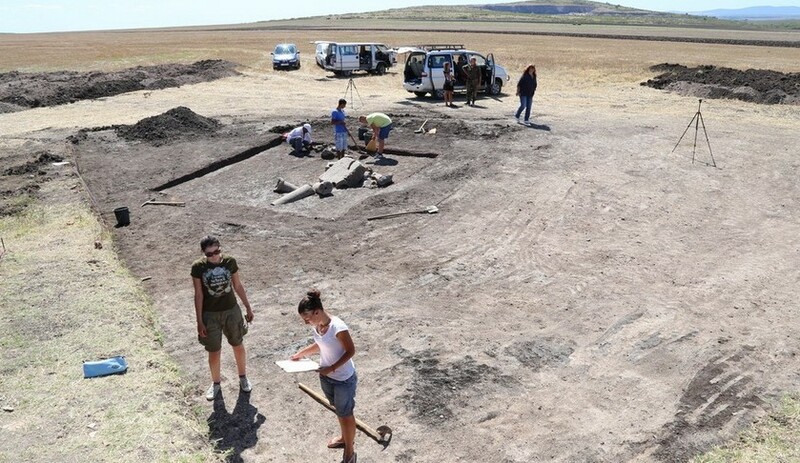 The tomb containing the sarcophagus unearthed by the archaeological expedition (named “Stranzha" after a nearby mountain) led by Daniela Agre from the National Institute and Museum of Archaeology in Sofia, however, has had an unhappy fate. It has been raided by treasure hunters several times in the past couple of centuries. Nonetheless, the archaeologists consider the unearthing of the sarcophagus a very significant discovery. They have also found several minor archaeological artifacts left behind by the treasure hunters. According to Agre, the Thracian mound near Boyanovo was first raided in the middle of the 19th century when Bulgaria was a province of the Ottoman Empire (Bulgaria was part of the Ottoman Empire between 1396 and 1878/1912, an depressing period in Bulgarian history known as the Ottoman Yoke). Back then it was targeted by a local Turkish bey, i.e. a governor, in his search for ancient treasures. “We have an exceptional archaeological site here. But [in addition to its scientific value] this mound also presents interesting events from Bulgaria’s more recent past. Its “excavation" began in the middle of the 19th century by the bey of Boyanovo who in his search for treasures had the local peasants dig up the mound. They found a very interesting sarcophagus, crushed its lid, and found inside a golden vessel, and several silver and bronze vessels," explains the archaeologist adding that the account of these events was recorded at the end of the 19th century by Karel and Hermann Skorpil, the Czech-Bulgarian brothers considered the founders of modern-day Bulgarian archaeology after the country was liberated from the Ottoman Empire in 1878. She adds that the rich treasure found in the sarcophagus in the mid 19th century led the locals to speak of the King’s Mound. Of course, the King’s Mound itself had been unknown until the present discovery of the sarcophagus. The archaeologists have found evidence that the site was targeted by modern-day looters around 2000 as well. 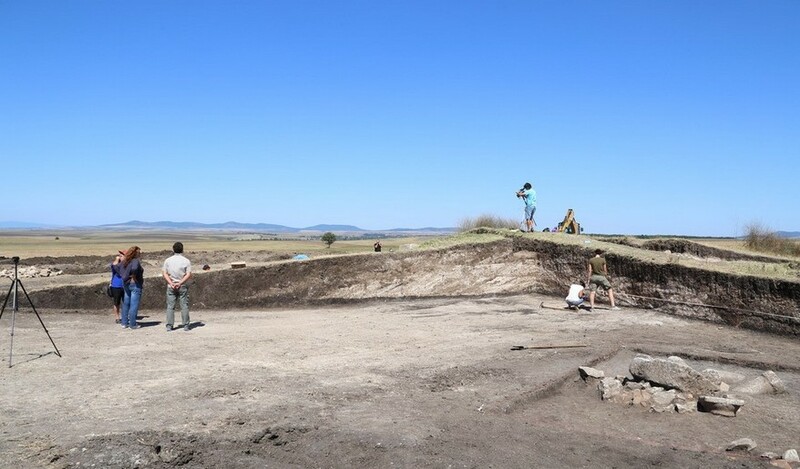 The current rescue excavations, however, have also been triggered by reports of treasure hunters digging up the respective Ancient Thracian mound near Boyanovo at the beginning of 2015. The locals even learned from the treasure hunters that the latter had reached a huge sarcophagus inside the mound, and alerted the authorities. The rescue excavations were launched soon after that as per a decision of a commission of Bulgaria’s Ministry of Culture. “Our goal has been to unearth the sarcophagus, and to prepare it for its moving to the Elhovo Museum of Ethnography and Archaeology. In the course of time, the sarcophagus had filled up [with earth]. Inside it, we have found a very interesting fragment from an alabaster vessel, several fragments of glass vessels, a bronze buckle. All of these are item demonstrating the wealth of the buried Thracian aristocrat who lived during the Roman Age. Based on the materials that we have found, our estimation is the beginning of the 3rd century AD," elaborates Daniela Agre. “What really makes an impression is that, in addition to the sarcophagus, the body was also placed in a coffin inside the sarcophagus. These are rituals which are new for our research of the Roman Age necropolises in this part of Ancient Thrace," points out the archaeologist. She adds that her team has found the fragments of the lid of the marble sarcophagus, and that it could be restored by a skilled restorer. 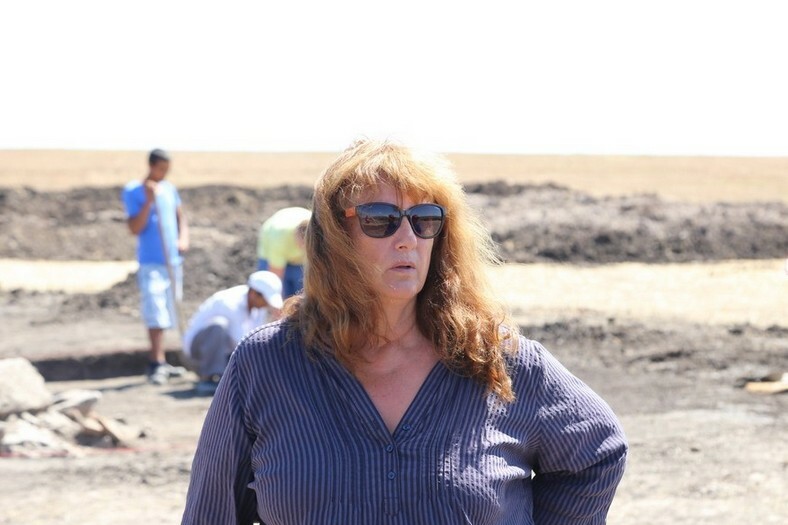 Agre has also spoken about the other two discoveries made by her team in the King’s Mound near Bulgaria’s Boyanovo: a colonnade and a second Thracian tomb. “And we think this façade had to do with another interesting facility which was a huge surprise for us, and which we found in the eastern part of the mound. This is a masonry tomb where the most interesting thing is its murals. We have found murals with several colors – yellow, green, blue, and nuances of red, with floral and geometric motifs. We are now working only the burial chamber, and the architecture of the tomb has not been fully revealed yet." 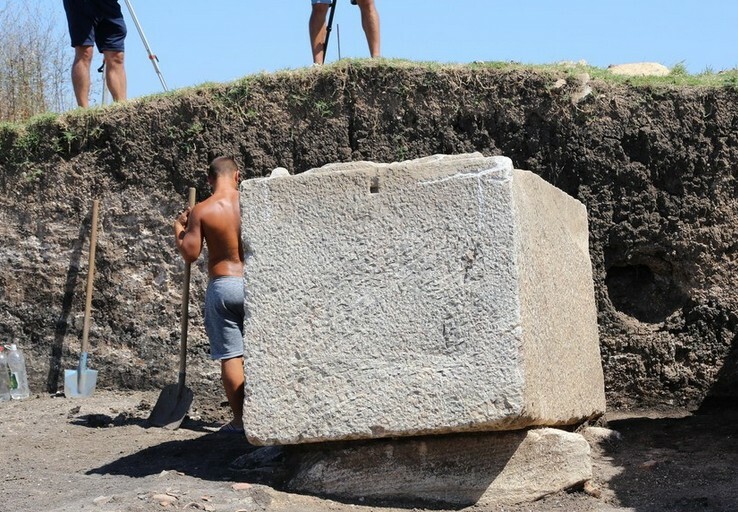 The second Thracian tomb in the King’s Mound near Boyanovo, however, has also been raided by looters, and more than once. It was first broken into in the Antiquity period, and there is evidence it was also targeted by modern-day treasure hunters. “On both sides of the entrance there was this colonnade which distinguished the profane from the holy place. 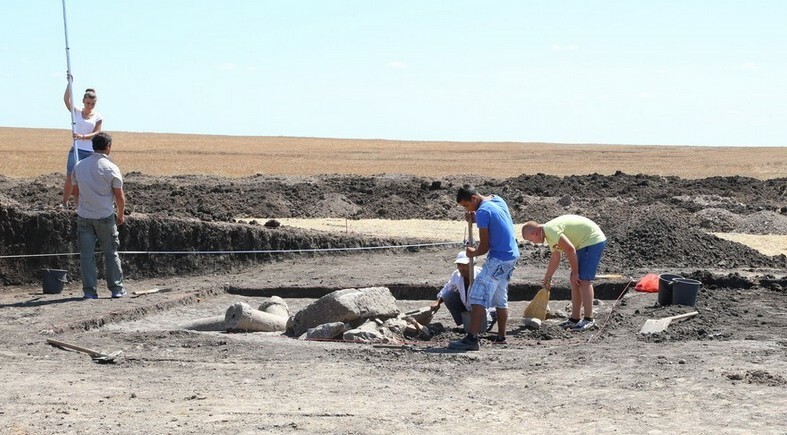 This is where remembrance rituals for the Thracian noble buried in the tomb were performed," Agre says, adding that she will be able to reveal more details about the second Thracian tomb as the rescue excavations progress in the coming weeks. 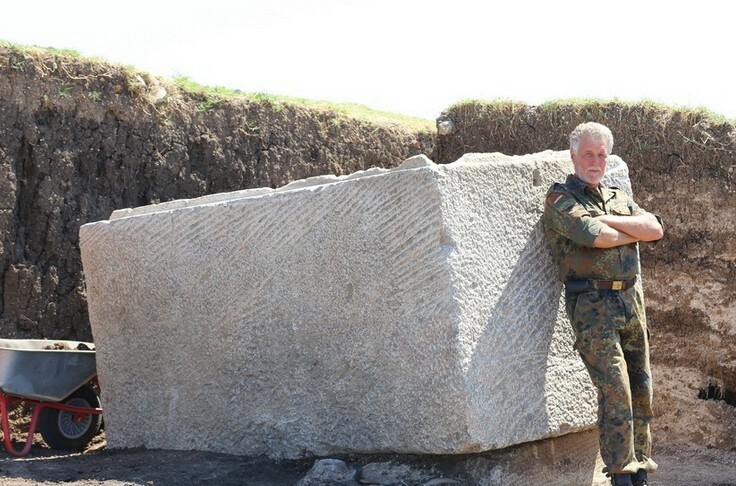 “Given that in the recent years, we have been going in the treasure hunters’ footsteps, and have found so many things, we can only imagine what we could have found if these monuments that are thousands of years old had not been targeted by the looters’ aggression," states in turn Hristo Hristov, Director of the Museum of Ethnography and Archaeology in the nearby town of Elhovo. The latest discoveries of archaeologist Daniela Agre’s Strandzha expedition in the King’s Mound near Boyanovo – the sarcophagus, the colonnade, and the second Thracian tomb with its murals – have been compared to her expedition’s discovery back in 2005 of a treasure in the tomb of a Thracian aristocrat in the Great Mound near the towns of Malomirovo and Zlatinitsa, Elhovo Municipality. The so called Zlatinitsa Mound Treasure (or Malomirovo Treasure) was recently part of Bulgaria’s much advertised Ancient Thracian exhibition in the Louvre Museum in Paris, France. The Zlatinitsa Mound Treasure consists of a golden wreath with appliqués, a seal ring, a greave, and two silver rhyta. It was found in 2005 near the town of Zlatinitsa in Southeastern Bulgaria by the team of archaeologist Daniela Agre in the tomb of a Thracian ruler dated back to the middle of 4th century BC. The Odrysian Kingdom is a union of Thracian tribes dominated by the tribe of the Odrysians (also known as Odrysea or Odrusai bearing the name of a mythical ruler, Odryses or Odrisis, (ca. 715 – ca. 650 AD), was the most powerful state of the Ancient Thracians. It existed from the unification of many Thracian tribes by a single ruler, King Teres, in the 5th century BC till its conquest by the Romans in 46 AD on the territory of most of modern-day Bulgaria, Northern Greece, Southeastern Romania, and Northwestern Turkey.